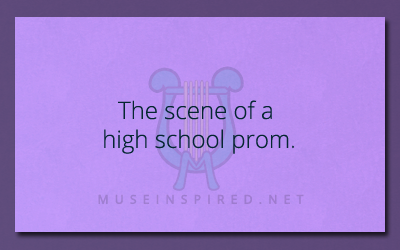 Siring Settings – Describe the scene of a Prom. Describe the Setting - A room of glass and crystal. Siring Settings - Describe the bathroom of a sleazy nightclub. Siring Settings - An elevator that only goes to the thirteenth floor on Saturdays.